Comment: Rotten fascia and soffit needs replacing. Gutters need to be realigned so water flows to downspouts. Comment: Synthetic stucco on chimney is peeling off. Comment: I have a few exterior boards that have rotting spots that need to be replaced. Comment: Old stucco (EIFS) repair still produces some hairline cracks. In addtion, area that was repaired is not very attractive and we are going to be painting our house fairly soon. Would like a professional repair done before painting. 2005 Van Orman Curve Rd. Ridgeland Siding Contractors are rated 4.73 out of 5 based on 232 reviews of 12 pros. 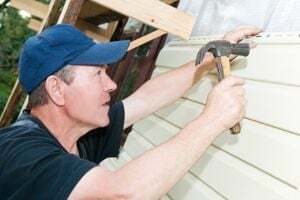 Not Looking for Siding Contractors in Ridgeland, MS?